In the insurance business, an agency’s reputation is priceless. Even in the early days of the industry, word of mouth and referrals drove customers to an agency, or away from it. The only difference today is that there are more channels where we can promote our brand and reputation, particularly, on the Internet. Online reputation management is a valuable part of insurance agent marketing. Whether it is through social media sites or online ratings and reviews, it is important that insurance agencies keep an eye on their brand’s image. After all, an overall positive reputation can only increase your book of business, while a negative one can drive potential customers away. But, what can you do to maintain and improve your agency’s brand? Why should online reputation management be a top priority for my insurance agency? Simply put, it’s all about knowing what people are saying about you and how to ensure that it helps (and doesn’t harm) your business. Like my dad, from East Texas use to say, “Son. Your name (brand) should mean everything to you.” Even though we’re no longer conducting every business transaction with a hand-shake, like in my dad’s day, your word (in this case…your agency’s word) should mean everything to you, because it certainly does to consumers in your market area. In fact, it’s more crucial today than ever before. With the launch of Yelp, in 2004, it changed the “Reputation” game forever. Q2 is ending as I write. I expect that Yelp’s earnings report will reflect they now have more than 150 million ratings and reviews. Based on my estimation, no one else is even close. However Google and Facebook have teamed up to “take a page out of the Yelp playbook.” When you do a Google search, have you noticed that Facebook is a secondary source, on your GMB knowledge card, that consumers can review along the buyer’s journey? I also want to give full disclosure here. As a result of that partnership, Yelp now powers the ratings and reviews in search results on the Bing network. In other words, Microsoft knows that Yelp is so strong, “Why should we try to reinvent the wheel?” In addition, Yelp now powers many of the search results on Apple SIRI (Maps). Obviously, you would only want people to say positive things about your business; not to mention, word of mouth and referrals are, by far, still one of the best ways to find loyal insurance customers. When they’re loyal, they’re sticky. They stick with you. Your retention rates will increase and your lapse-cancellation rates will decline. WOM (Word of Mouth), Referral and Repeat business is the hallmark of a great agent’s office. You will always win when you have a strong book of business. These days, what people say about you online is a reflection of your company’s products and services. 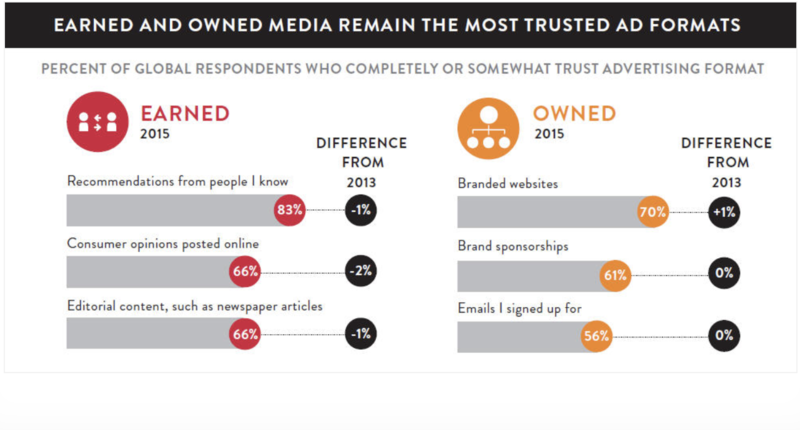 People truly trust what they read online. Think about the last time you were deciding on which restaurant to choose . How did you find out about them, and what made you visit that particular place? If you’re like my wife, you probably went online. My wife will not go anywhere new without checking Yelp first. Just last week she used Yelp to find the best hotel for our family, in Sacramento, as we had to attend a convention in that city. No matter what new service she needs, she’ll only choose a company that has a 4-5 star rating and positive reviews. Think of the power the business owner has after he/she brings in that type of client. All they have to do is continue to give that 4-5 star service, and that type of customer never leaves that business. Those types of customers will now push up the average “lifetime value” for the business owner. What a beautiful thing, right? But is this anecdotal evidence true evidence? Consumer opinions come a close second: over 66% believe reviews posted by other people online. In fact, they trust it as much as they trust editorial reviews in traditional media. If you don’t manage your reputation online, then you’re losing out on potential leads. For businesses like cafes, restaurants, and retail stores, this is a no-brainer. Why would anyone want to eat at a restaurant that had bad food or buy from a store that has shoddy goods or terrible customer service? There are too many viable options out there, for consumers, today! Just look at what Amazon is doing to business owners, throughout the U.S., who don’t get this concept. Jeff Bezos’ understanding of this principle, well before even Yelp, has driven his success beyond, I’m sure, his wildest dreams. In fact, one recent report showed that he’s the first person, on the planet, that has a net worth at more than $100 billion. Ok. If Bill and Melinda Gates hadn’t given away billions, for philanthropic reasons, they’d be worth more than $150 billion. Ok. You got me on that one, but I hope we all get the point. Some of the world’s most highly valued companies, including Apple, Google, Amazon, Facebook, Microsoft (https://www.statista.com/statistics/263264/top-companies-in-the-world-by-market-value/), are all being graded, based on their “online reputation.” Your online reputation does matter, a lot! However, while it takes longer to make a sale, most people who are looking for insurance are ready to buy. These days, with so much information available at our fingertips, fewerconsumers rely on getting their information from salespeople. In fact, it’s my opinion that many consumers have made their purchasing decision long before they’ve actually contacted your office. Again it’s all a part of the buyer’s journey. 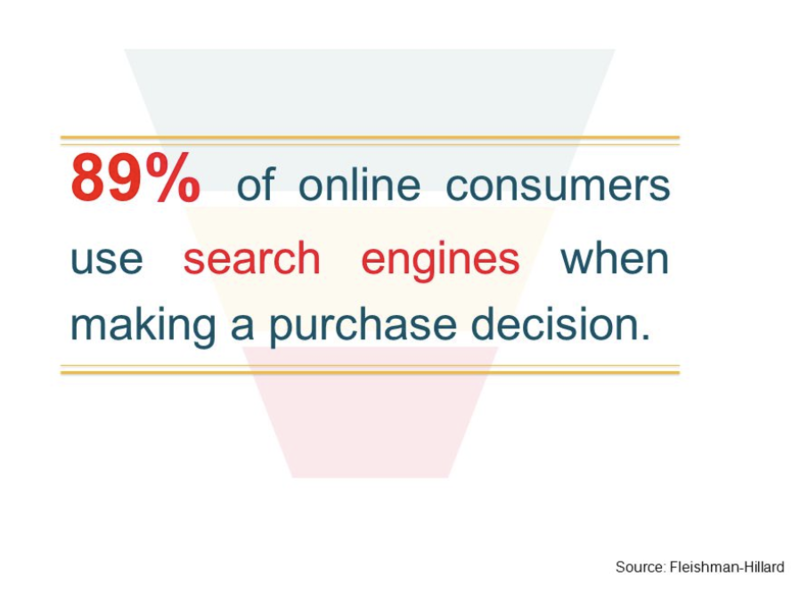 According to the Fleishman-Hillard and Harris Interactive Annual Global Study, about 89% of consumers use a search engine to make their purchasing decisions. That means, when a lead comes to an agency asking for a quote, they’ve already researched the product and the agency itself. And, if people are going to your competitors instead of you, then you know there’s a problem with your online reputation. What channels do I use to manage my agency’s online reputation? Yelp – Yelp is the mother of all ratings and review sites. Though most people think this site is for restaurants, it has evolved in the last couple of years and now you can review almost anything under the sun. One advantage to using Yelp is that it now connects to Amazon Voice (Alexa), Apple Maps, along with Bing search results. Google Reviews – Google is the biggest search engine in the world, and their Google maps is the most popular mapping app (and 5th overall) in the world. The reason this is worth mentioning is because Google maps is how people can leave reviews for businesses. Taking control of your Google listing can be tricky, but it can be well worth the effort, especially as it helps your agency’s visibility in search engines. After claiming your GMB account, have you fully optimized it with great content and products/services offered. In addition, have you added your photo library across your digital footprint? Consumers want to see photos (inside your office, outside your office, events that you sponsor or co-sponsor, significant landmarks, snow skiing trips, backpacking,water skiing trips, cruises, etc.). They want to know that you, and your team, live and work in their community. They want to see that you, and your team, support their community. Social Media Sites – Facebook is the dominant player in the social media field, and they allow users to leave reviews on business pages. Of course, Twitter and Google+ aren’t too far behind, and it’s worth monitoring these sites as well. Consumers have a tremendous appetite for photos and videos online now. In fact, Mark Zuckerberg says in five years, Facebook will be mostly videos and pictures (memes, infographics, etc). Hard to believe, isn’t it? In fact, Mark Z recently had to go to Capitol Hill to testify before Congress. When asked, “How many photos per day are you uploading to your platform,” he remarked, “About 100 billion.” We all have mobile phones with image stabilizers in them that allow us rookie photographers to go pro. Because by the time our photos, from our smart phone camera roll hit the net, you don’t see that a “shaky hand” too them. Amazing. How can I improve my agency’s brand and reputation online? Reputation management can be a huge task for any agency. There are many strategies you agents can implement, depending on your goals, agency size, location, and a variety of other factors. In this writer’s opinion, you should also optimize your I.G. (Instagram). Why do I recommend I.G.? Because as you know, it’s also owned by Facebook. They’re really out to crush Snapchat. In fact, they recently surpassed the 1 billion “Active User” mark. Do a reputation audit of your agency. Do a search on Yelp, Google, and social media sites. What are people saying about you? Is it good or bad? Thank people who have left good reviews. Respond to all negative reviews in a “positive manner.” For example, you could say, “Mr/Ms. Brown. I’m am so sorry about the misunderstanding. Please give me a call personally, so that I can make this right for you. My mobile number is 858-337-476. We should never be afraid of personally taking these calls, in an urgent manner, as the person in charge. I’ve seen that approach work wonders for building, and rebuilding, a solid online reputation. I also assure you that your team is going to make certain that no “negative calls” get to your mobile. Talk it up in your weekly team meetings. Use both good and bad reviews to improve your service. If people are praising your agency, think of what that will do for your agency. When people pay you a genuine compliment, outside of your presence, that’s golden. However, if the reviews are negative, then examine them carefully and find ways to improve your operations. Facebook still encourage you to help them generate legitimate reviews on their sites. Create a long term strategy. So, you’ve secured your online accounts and conducted an audit. Now what? What you do with your online presence will affect your business. You need to determine how you’re going to increase your number of reviews, as well as how to deal and respond to negative reviews. While all of this may seem overwhelming, taking control of your online reputation now can only help you in the long run. By investing your time and effort into asking for reviews and engaging with your customers, you can ensure your agency can maintain a stellar reputation, which can help build your book of business. Of course, if you don’t have time to do all this, why not let Agent Branding System do the heavy lifting? We can help you improve your brand online, and you can save your time and energy where it matters most, your customers. We can help you create long term strategies on how to get new, positive reviews, as well as how to respond to the good and bad ones. By positioning your agency as a resource in the community via social media, we can help maximize your brand’s visibility and help to turn you into a stellar, five-star insurance agency.